It is all the same old ideological wine poured into new political bottles labeled with the names of people like recently elected Democrat Party Congresswoman, Alexandria Ocasio-Cortez, who is pushing hard for this Green New Deal. 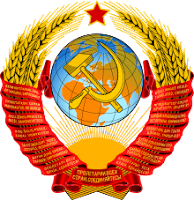 Industry and agriculture, manufacturing and employment throughout the economy would be placed under a Congressional committee that serving as an American form of the Soviet Union’s GOSPLAN, or central planning agency. I explain how and why this would entail the imposing of a strict totalitarian system of economic control and command, which would soon extinguish the remnants of personal liberty and freedom of enterprise in the United States. And why it would create a political and bureaucratic elite that would expect all of us to obediently and happily produce the wealth that they desire to extract, spends, and waste in the pursuit of their collectivist dreams of a new socialist America. Friends of freedom should not be complacent in the face of this new drive for a socialist and centrally planned United States. It portends a “green” road to serfdom for America. The philosopher George Santayana is credited with the phrase “Those who cannot remember the past are condemned to repeat it.” Never was that truer than today in the face of the reborn belief in some notion of a “democratic” socialism and its companying idea of government-directed planning and redistribution. It’s as if the entire experience of the 20th century has been erased from the memory of humankind. There have been government planning through regulations and redistributions of wealth through fiscal policy. This regulatory-redistributive model of government oversight and directing of social and economic outcomes grew out of the discovered and admitted inescapable limits and shortcomings of more-direct government planning and control of economic affairs. British democratic socialism foundered on the discovery that even in a democracy, government socialist planning entails imposing commands on everyone that succeed in only making life stagnant, dull, and poor for most in society. Indeed, this is how we have ended up with highly regulated economies combined with often-extensive networks of income redistribution and social safety nets. The collapse of the Soviet Union in 1991 and the admitted failure of government central planning and its accompanying brutality around the world threw socialism into disrepute and seemingly out of the arena of public policy debate. This has been reversed following the financial crisis of 2008-9 and its aftermath, with it being classified and condemned as a new demonstration of the failure of capitalism. In its wake, socialist ideas have been gaining a new rebirth among academics and the media pundits. Not that all the socialist sympathizers had really disappeared after the end of Soviet socialism. They had simply and mostly silently sulked in the corners of higher education and various other intellectual circles, not knowing how to fully get away from the embarrassment of socialism’s disastrous history during the 20th century. The last 10 years have slowly been giving them a new lease on life. Action must be taken now to change how and what Americans produce and consume over the next decade. There must be developed “a detailed, national, industrial, economic mobilization plan.” It must be “driven” by the federal government in “partnership” with business, labor, “stakeholder” groups, indigenous peoples, and communities all across the land, for a radical and rapid transition to a fully carbon-free environment. This will include more government-sponsored and government-provided education and skills training that will include “job guarantee programs to assure a living wage job to every person who wants one.” Government plans and programs will be especially targeted to help end “deeply entrenched racial, regional and gender-based inequalities in income and wealth”; and “without limitation” there will be those redistributions and government investments needed to lift up “marginalized” groups in various parts of the country. How will all of these activities be successfully funded? This proposed Green New Deal agenda would have its costs covered not only by the usual federal and other taxes, with emphasis on the need to especially tax “the rich.” No, the proposal calls for using “a combination of the Federal Reserve, a new public bank or system of regional and specialized public banks, [and] public venture funds” to ensure that the profitable returns expected from the central plan’s implementation come back to the Treasury for selected future tax cuts and for even more government investments in the future. The congressional committee that is proposed to develop and submit the detailed and concrete elements of the Green New Deal plan would also have the authority to direct and oversee its implementation. In other words, Alexandria Ocasio-Cortez and her collaborators sitting on such an approved congressional committee want to have control over what would be an American version of the Soviet Union’s GOSPLAN — that is, a government agency responsible for the total central planning of the United States. Central planners are always grandiose in their visions and impatient in getting to work to remake society in their own image. Our new American socialists are no different in this than their ideological collectivist cousins were in other parts of the world over the last century. The actions and investments of individuals and private enterprises are too small and unorganized. Redesigning all of America in such a short time to save the planet and finally establish “social justice” in all its aspects requires, they assert, “massive” levels and speeds of investment, along with a government-size time horizon of decades that encompasses the entire society without exception. The transformation of America must be done within 10 years if the planet is to be saved from irreparable environmental damage, they assert. The planners are confident that in 2020, the Democratic party will not only retain its control over the House of Representatives, but also capture the Senate as well as the White House. Then it will be “all power to the democratic socialists.” The plan will be ready for immediate implementation. They are in a hurry, and there is no time to waste. But this is exacting what our new American socialists are impatient with and want to do away with. There needs to be one master hierarchy of values, with one centrally guiding and implemented master plan to bring it to fruition, with all in the society accepting and making their own personal wishes and desires subordinate to it. Socialism is the way that the non-productive classes enrich and empower themselves at the expense of the productive classes. Beats workin'.